In Birmingham’s Balti Land, where Indian restaurants ruthlessly compete for custom, curry wars rage with price slashing and chef poaching. 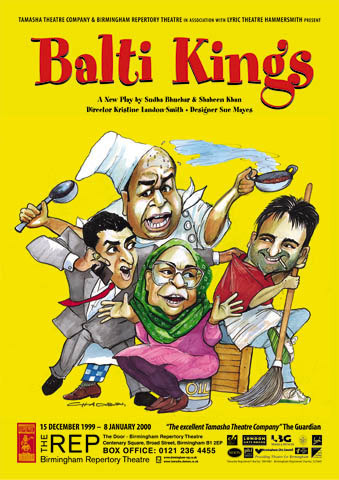 Balti Kings is a comical slice of contemporary British Asian life centred around the businessmen of the Midlands who have built their fortunes on the back of Britain’s most popular food. Sue Mayes' set for the show even featured a real working kitchen, ensuring that the actors not only had to remember their lines but cook as well. The play was also the inspiration for Tamasha’s first short film Midnight Feast.